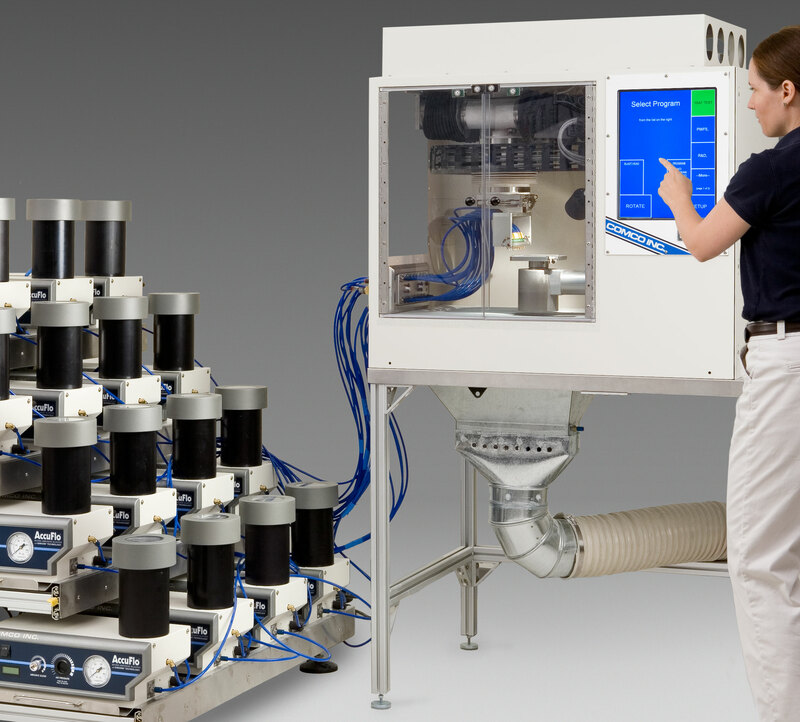 When a manual MicroBlasting system cannot provide the output or meet your tolerance requirements; Comco’s automated systems deliver all the benefits of a manual system with greater precision and efficiency. 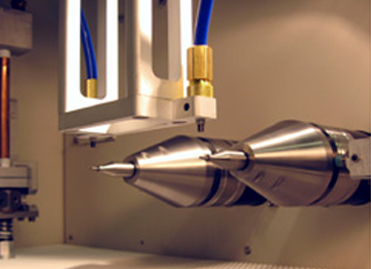 Both the Advanced Lathe and the JetCenter are designed for the steady processing of precision parts. 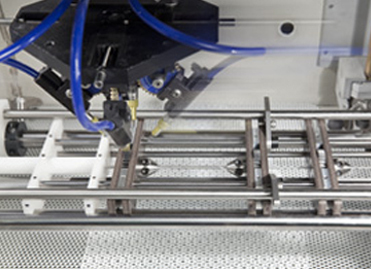 Each automated system is customizable from a proven platform and delivered as a turnkey solution. Keep abrasive away from motion components and other sensitive components. 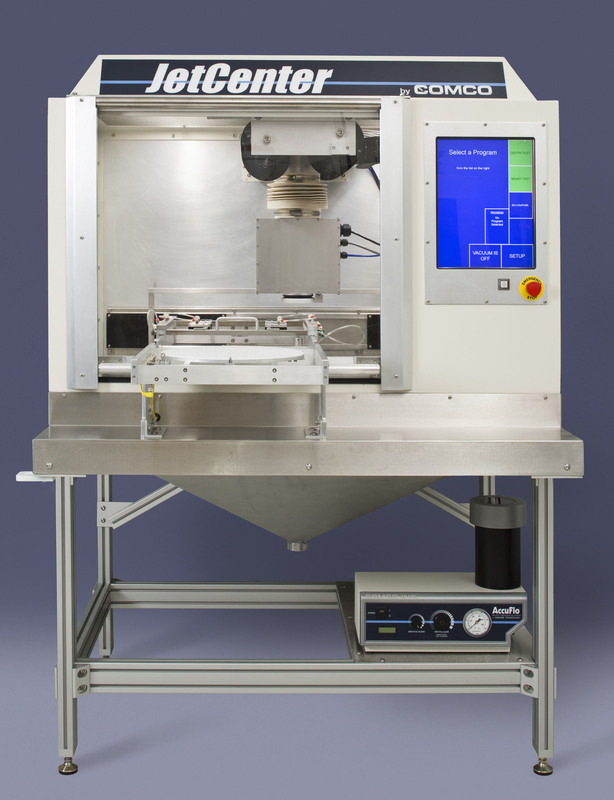 Use both gravity and airflow to move abrasive out of the blast chamber as quickly as possible. Make wear points as durable as possible and easily replaceable. Keep the abrasive focused on the part to avoid overspray and the wear and waste associated with it. MicroBlasting uses very hard and very fine media–as hard as diamonds and as fine as moondust. 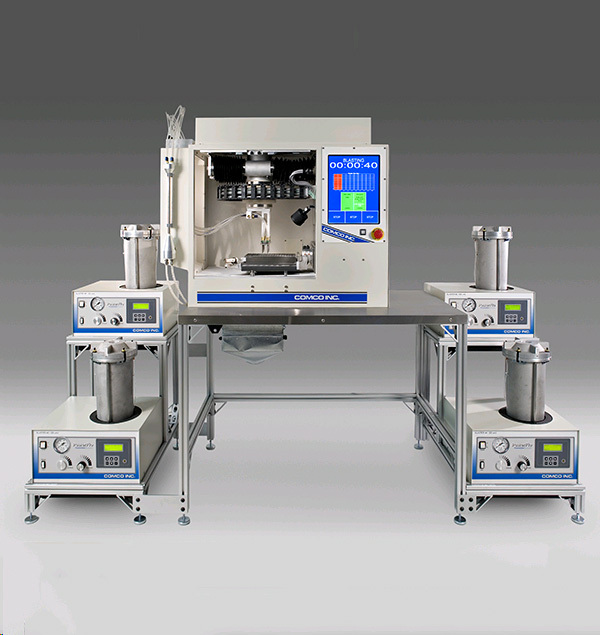 Most off-the-shelf systems are designed for bigger particles at slower speeds, so these systems may not be abrasive-resistant to MicroBlasting media. We have over 50 years’ experience designing and producing rugged blasting equipment ready for these unique circumstances. Click below to learn more about the design and development of each system. MicroBlasting delivers precision and control, making it ideal for processing intricate geometries, delicate materials, and small parts that must meet strict industry standards. How do we define precision and control? How do we achieve precision and control? 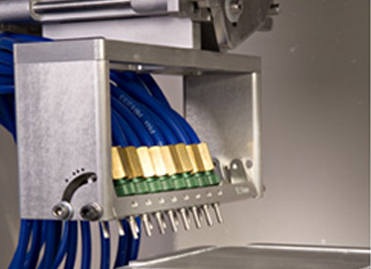 Both Comco automated systems deliver expected and uniform results with every pass—be it on a single part design or a family of different parts. *The compressed air required will vary depending on the number and type of blasters used. The PowerFlo model PF2400 requirement is shown as a reference only. *The compressed air required will vary depending on the number and type of blasters used. The AccuFlo model AF10 requirement is shown as a reference only. Never stop to refill your tank again. 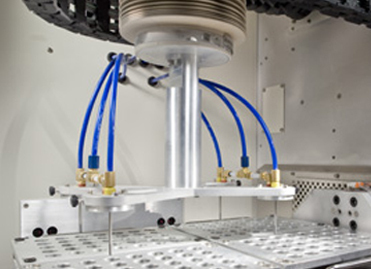 Comco’s AutoFill is an add-on module for a tall tank AccuFlo that will automatically refill the tank with abrasive. It monitors the amount of abrasive in a blaster’s tank. When the abrasive is low, AutoFill replenishes the tank with no operator involvement. 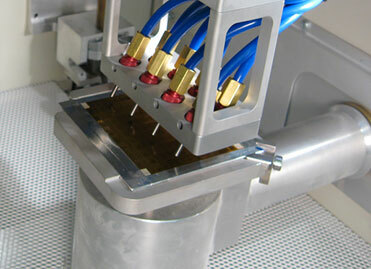 Comco developed the Nozzle Alignment Laser to make fixturing applications easier. 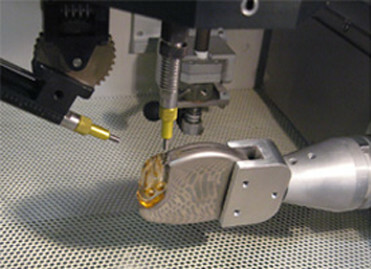 When attached to the back of any Comco nozzle, the Nozzle Alignment Laser places a dot on the surface of the targeted part where the abrasive will strike. Once alignment is set, simply remove the Nozzle Alignment Laser and attach the abrasive hose. 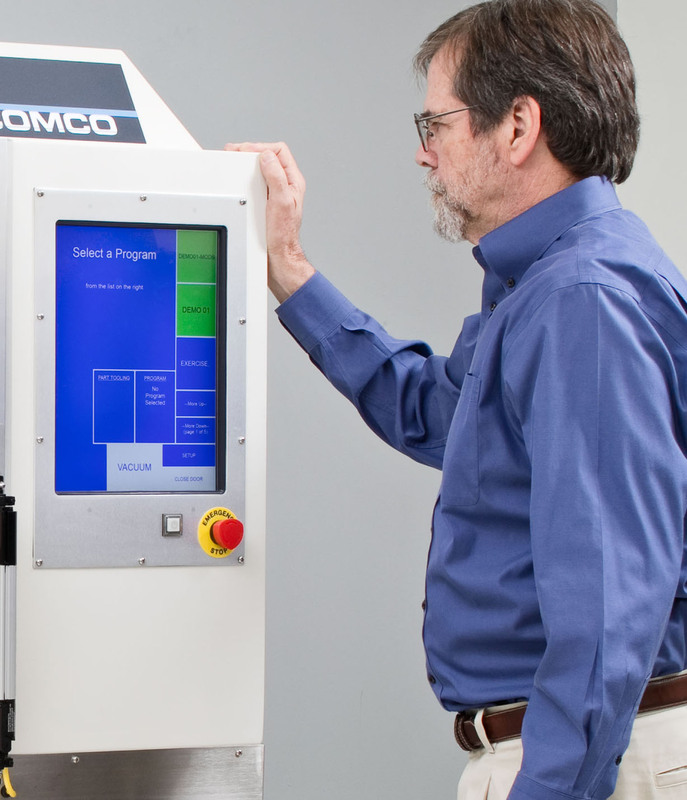 With the purchase of an Automated MicroBlasting System, Comco engineers will not only build the system but also develop the process and application. 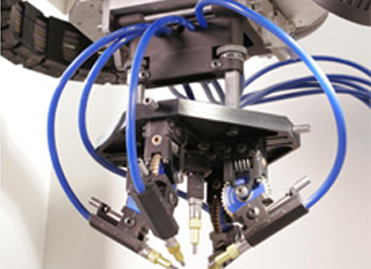 Each Automated System includes tooling and blast heads specifically designed for your parts. 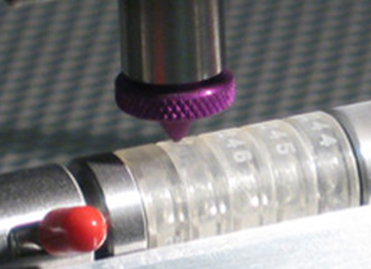 All Automated Systems are checked for accuracy to meet Comco’s strict quality control. Each System is calibrated to a common home position. 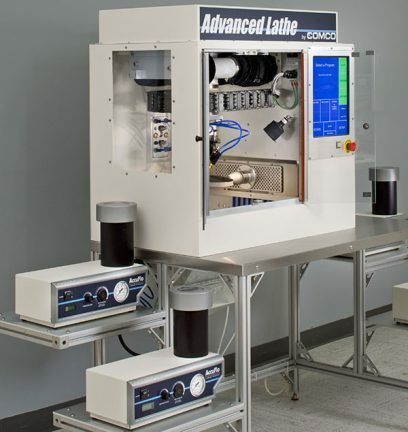 Programs can migrate from one lathe to the next, and each System can provide the same results. Comco stands behind each system that we deliver. 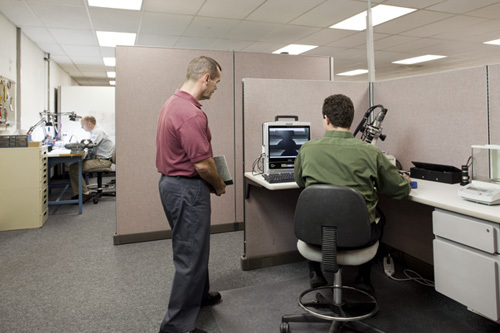 Our Technical Support team is available every weekday to help you troubleshoot an error message or develop a blasting program for a new part. 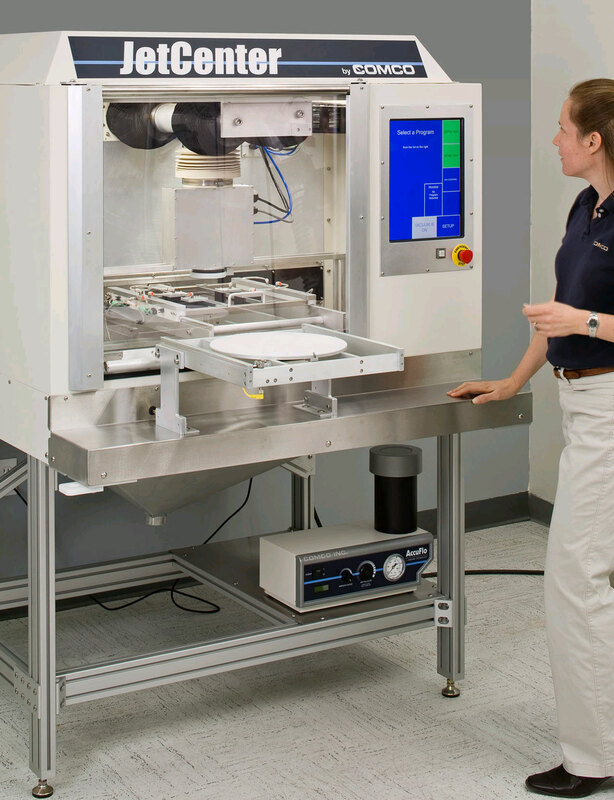 We know that while MicroBlasting is just a small step in your manufacturing process, keeping your system running smoothly improves every other aspect. 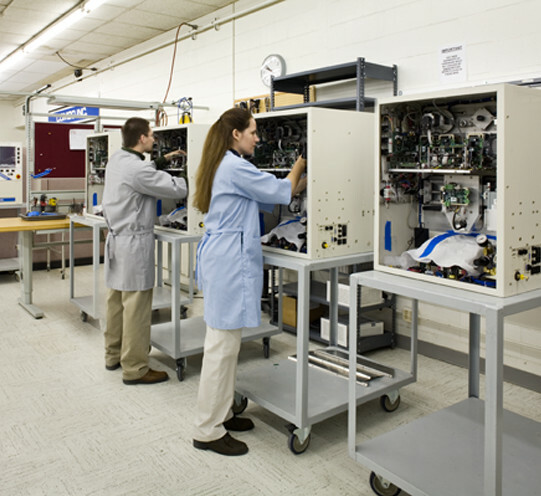 Comco’s Engineers have the expertise and complete test facilities in our Applications Lab to develop custom processes for your application. From abrasive selection to tooling and blast heads, our Engineers work with your team to discover the best MicroBlasting solution for your application. 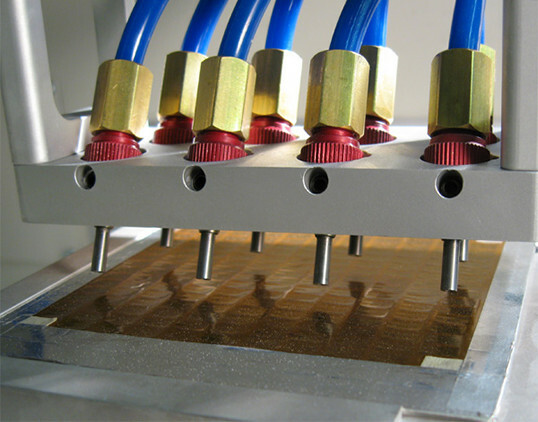 One of the major benefits of MicroBlasting is its versatility. 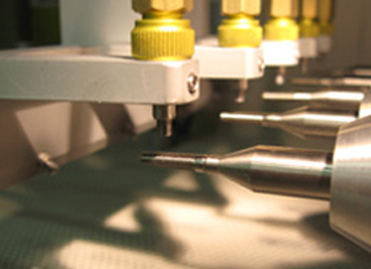 Our systems are in use across a wide-range of industries and with a wide variety of applications. Our Sales Team have the knowledge and experience from years working across industries to assist you with every step, whether you are putting together your first system or updating an old system for a new application. How to Reliably Create Features of a Specific Depth?